In the picture on his page, he wrote: â€œHappy late thanksgiving to everyone. DAILY POST reports that, Bieber, 24, and Baldwin, 22, got engaged in July and secured a wedding license in September. 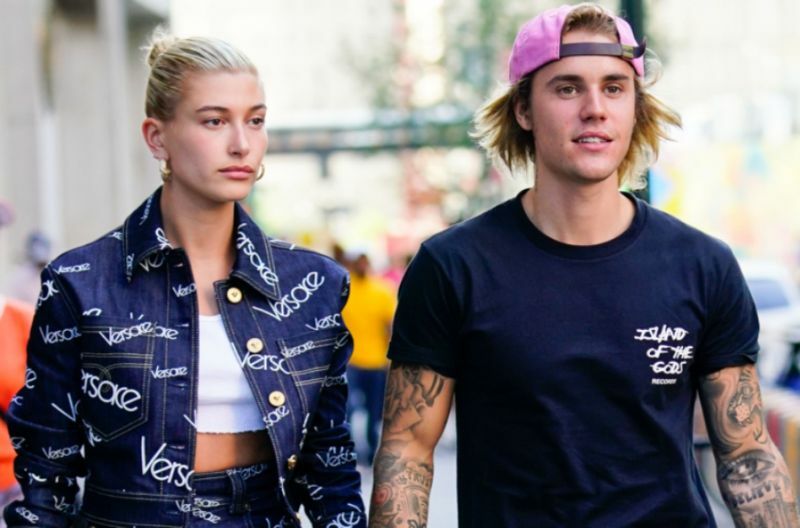 There were reports that the pair had a secret ceremony around the same time after Baldwin changed her name on Instagram to â€œHailey Rhode Bieberâ€ but the couple did not confirm it. Speaking on his journey as a married man, Bieber added that it has not been easy but God showed him the way. â€œRelationships are hard and love isnâ€™t always easy but thank you Jesus for showing me how! â€œEvery day is a learning process, trying to be more like him, patient, kind, selfless, boy I got a long way! But Gods grace is sufficient!â€ He wrote. Bieber has sold an estimated 140 million records, making him one of the worldâ€™s best-selling music artists, and has listed three times by Forbes magazine among the top 10 most powerful celebrities in the world; in 2011, 2012, and 2013.